Addiction is a common problem that is difficult to fully overcome. Most people are unable to comprehend the weight of this disease until it affects them or a loved one directly. Once an individual develops an increased tolerance, dependency, and full-blown addiction, quitting becomes seemingly impossible. Fortunately, addiction recovery is possible for anyone who is prepared to work hard to reach this goal. Many non-users believe that addiction is a choice. If this was true, the rate of accidental drug overdoses in the US. would be drastically lower. The truth is, drug use might begin as experimentation, but addiction strips users of their rationale. It causes chronic and compulsive urges to use a drug for its psychoactive effects, even in the face of severe consequence. Once addiction develops, quitting is no longer a simple choice. Addiction presents a vicious cycle of abuse that’s complicated to escape. This is because extended substance abuse leads to increased tolerance, and from there, physical dependence and addiction. Once an individual develops an increased tolerance, he or she becomes at chronic risk for withdrawal, overdose, and possibly death. Withdrawal is one of the most obvious signs of drug use and addiction. Symptoms occur when the user attempts to quit using following longtime abuse. While these can be uncomfortable for the individual, they’re actually a sign that the brain is attempting to correct itself. Symptoms are rarely life-threatening, but withdrawal from heavy drugs like heroin and cocaine can be intense. Generally speaking, withdrawal causes symptoms like nausea, abdominal discomfort, insomnia, anxiety, depression, and increased agitation and restlessness. Symptoms vary from drug to drug, and depending on the length and volume of the abuse. Medically supervised detox is the safest and most effective method for managing withdrawal. Rehab specialists are available round-the-clock to monitor patient progress and handle any possible complications. Substance abuse is a serious problem, but addiction recovery is possible. To achieve total rehabilitation, medical professionals recommend addiction rehab. While urges and cravings to use never fully go away, treatment teaches individuals how to manage and resist these cravings. You can conquer substance abuse by choosing Crestview Recovery in Portland, Oregon, for your addiction treatment. We design our addiction recovery programs on an individual basis to produce lasting results. Each one of our guests receives the compassionate and personalized attention they deserve while working towards sobriety. 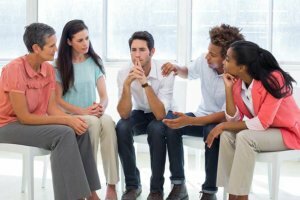 Our professionals have the training to treat all addictions at our premier substance abuse rehabilitation center. Come and heal in a serene environment, away from the judgment and chaos of the real world. Our team of rehab specialists will be by your side through every step of the recovery process. You don’t have to face this challenge alone. Don’t wait until substance addiction has completely destroyed your life. Rehabilitation is possible, and Crestview Recovery in Portland, Oregon, can point you in the right direction. Let rehab guide you towards successful sobriety and lasting change. Call our office at 866-580-4160 to begin your journey towards sober living today.